Accumetrics offers wireless torque telemetry systems that utilize unique digital data transmission techniques. They are rugged, dependable, and accurate. These Single Channel Telemetry Systems employ tiny transmitters, which contain all the circuitry necessary to transmit wireless torque measurements off of rotating machinery. Our Single Channel Telemetry Systems measure, digitize, and transmit torque measurements wirelessly off rotating halfshafts, drive shafts, and propshafts to a stationary receiver which converts the digital data to an analog voltage output. With no contact between the transmitter and receiver, systems do not experience the wear that can be seen with slip-ring systems. 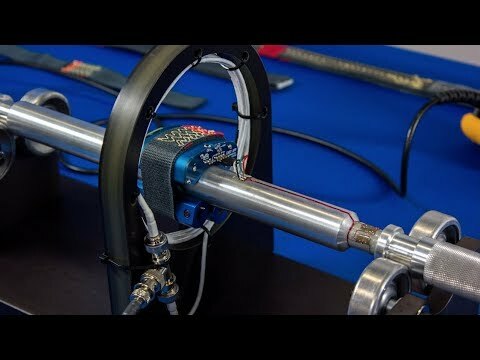 Accumetrics can help you obtain precise driveshaft torque measurements without any modifications to the existing shaft, unlike traditional in-line torque transducers. Singel Channel Systems are primarily used for full bridge strain gage torque measurements (four active strain gages). A half-bridge or single gage configuration may be used as long as bridge completion is provided. 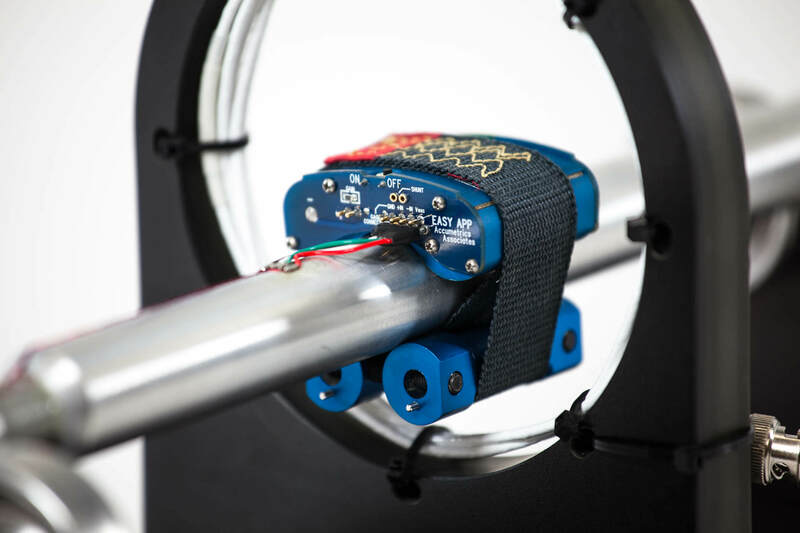 Although most frequently the bridge is configured to measure shaft torque, it can be used to measure any bridge output signal, including shaft thrust or bending, load cell or pressure transducer outputs, and temperature measurements. Voltage measurements are also an option. 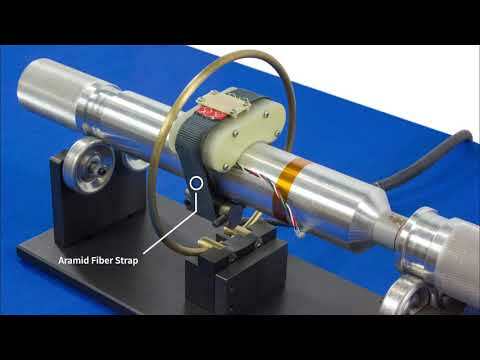 Accumetrics’ Single Channel Systems may be easily installed on a rotary shaft without making any shaft modifications using a single aramid fiber strap. Utilizing wireless technology, sensor data can be directly acquired for a variety of applications – from vehicle drive shaft torque to large generator excitation voltage. Accumetrics’ systems replace slip rings and legacy FM telemetry systems, offering a perfect solution for applications requiring dependable data retrieval and easy installation in hard-to-reach places. Our systems provide accurate data even in high EMI environments thanks to noise-resistant digital telemetry. With both battery and induction powered system options, Accumetrics delivers continuous monitoring of equipment even while machinery is not operating. Accumetrics’ Single Channel Telemetry Systems provide a versatile tool for your testing, validation, and performance optimization needs. Systems can be used to validate or improve designs prior to production and when coming off the production line. In addition, systems can help optimize machinery to maximize results and improve reliability, thereby reducing costs. Single Channel Systems are useful for measuring the operational data of a machine, validating manufacturer’s specifications, and improving the performance of a machine. Accumetrics can help you predict and detect failures in rotor components and troubleshoot problems of vibration, premature failures, and performance deficiencies on rotating machines. To learn which Single Channel System best fits your needs, see our Single Channel Comparison Page.